Overlooking the sea in the tranquil and unspoilt setting of Kina Peninsula, Kina Beach Vineyard grows fine quality grapes and produces premium wines that reflect the outstanding characteristics of its micro-terroir. The wines excel on rolling north facing slopes and on easily undulating and free draining Mapua sandy loam soils. 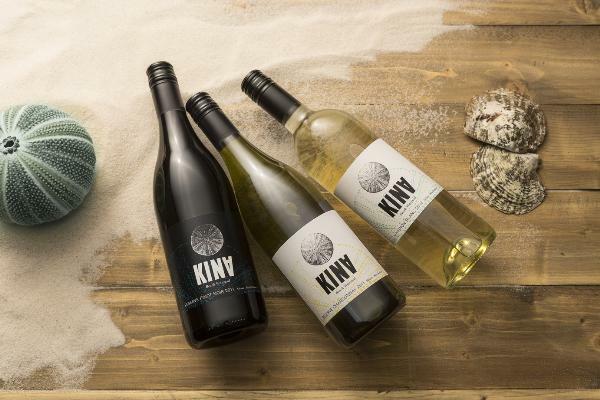 We hand pick the best grapes produced in the vineyard to create premium single estate wines reflecting the Kina Beach Vineyard terroir. Our wines are made by expert winemakers selected for their ability to craft an outstanding varietal best suited to the distinctive qualities of the Kina Peninsula region.